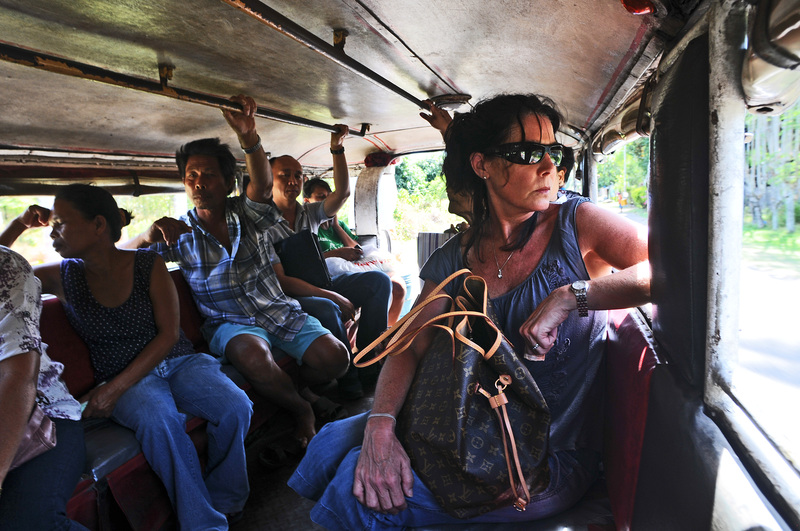 I had two goals yesterday: To get to the beach in Dauin and take a jeepney ride. 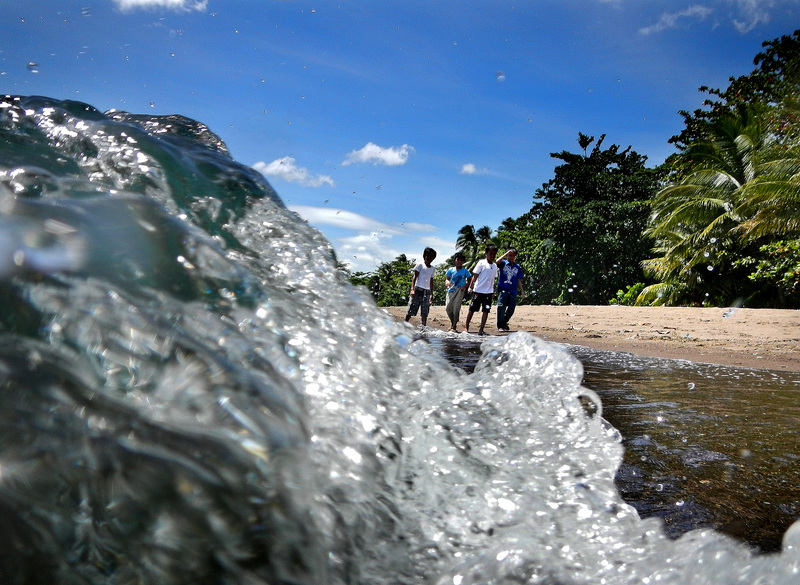 The small town of Dauin has gotten quite a buzz because of its beaches and dive resorts. 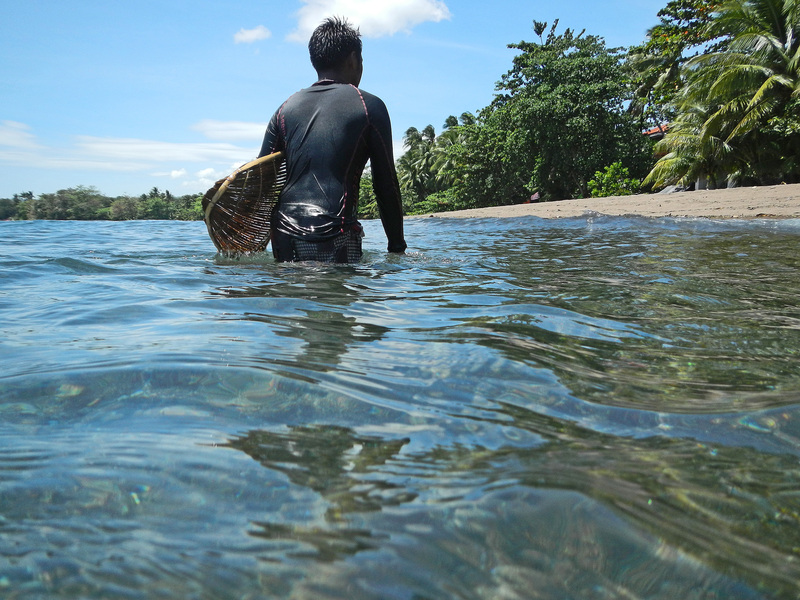 Roughly seven miles south of Dumaguete City, it is an easy place to get to. Public transportation in the form of jeepneys and buses are plentiful to take for the 20 minute ride. It is cheap, only 50 cents per person. Once in Dauin, you can walk to any beach and enjoy the warm, clear water.You will also be rewarded with a view of Apo Island. The beaches in Dauin are frequented by the locals. 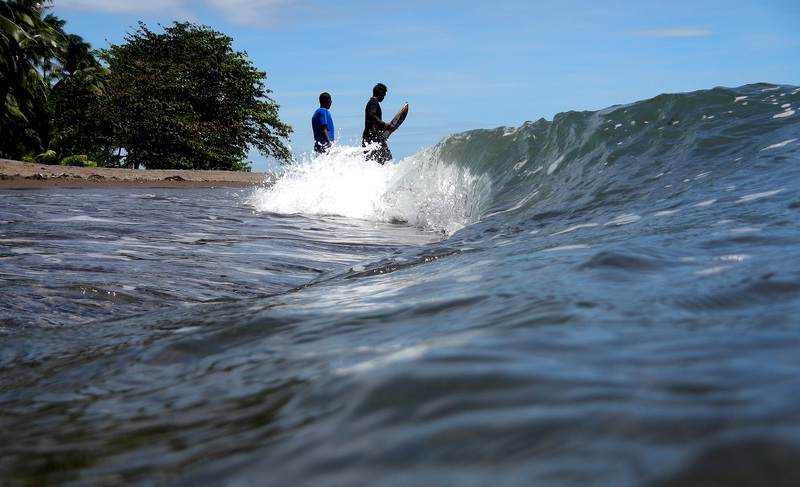 Schoolboys can be seen walking along the surf’s edge — playing games oblivious to the beauty of their home. 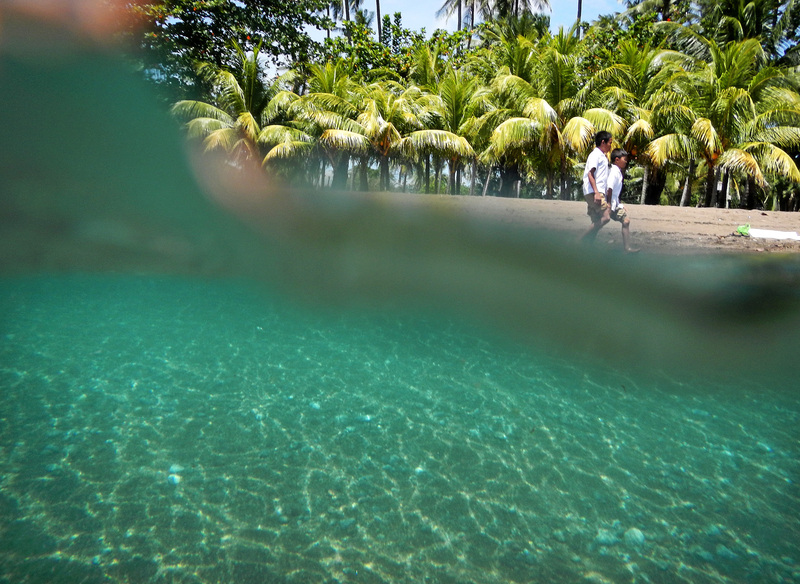 While a man skims the breaking surf with a bamboo basket to catch the small crabs. “It is great for frying,” he said.